While mosquitoes are perhaps best known as carriers of malaria, they are in fact responsible for many diseases in third world countries, and perhaps one of the most vicious of these is dengue fever. Transmitted by the dengue virus, it causes fevers, headaches, muscle pain, and joint pain so bad that dengue is often referred to as breakbone fever. While the majority of victims recover, in some cases it develops into dengue hemorrhagic fever, which causes blood loss and plasma leakage – a life-threatening condition. Victims can also develop dengue shock syndrome, where their blood pressure drops to dangerously low levels. Back in 2011, it was a particularly bad year for dengue fever in Lahore, Pakistan. Over 16,000 people were infected, and of these more than 350 died. While outbreaks vary from year to year, this level was unprecedented and Pakistani government researchers knew that something had to be done. They looked for other systems that were able to track outbreaks of infectious diseases. Flubreaks, which estimates how flu epidemics are spreading using data about flu-related searches on Google, seemed that it might do the job. This system has been highly successful in identifying flu outbreaks, giving up to two weeks' advance warning when compared to traditional epidemiological tracking methods. Researchers adapted the algorithms to track dengue, which occurs less often than flu, and therefore needed to be attacked differently. Having adapted the software, they then distributed 1500 Android smartphones to government healthcare workers, who then used a client app to report suspected cases of the disease. By processing this data, they were able to identify potential hotspots, and then take action – for example, fumigating mosquito reservoirs in suspect areas, such as stagnant pools of water. The results were spectacular. 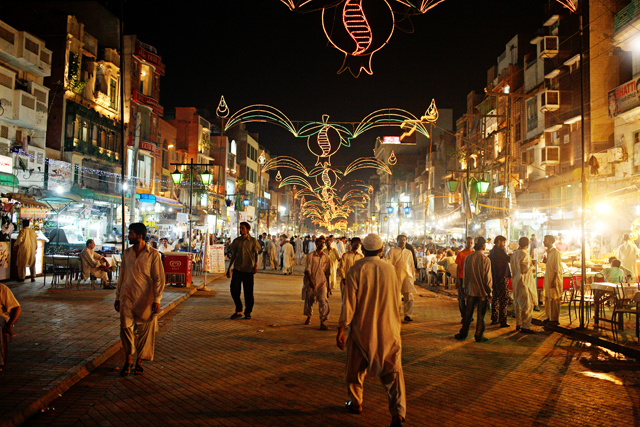 Compared to 2011, there were slightly more than 230 cases in Lahore in the summer of 2012 – and no one died. That's a reduction of more than 98%. By being able to localize and contain the outbreak before it got started, they effectively eliminated dengue as a deadly disease in a city with over 12 million inhabitants. If there is any proof of how smartphone technology is transforming healthcare, this is it. There must be many similar applications in third world countries that have mobile networks. For example, Afghanistan has a well-developed mobile infrastructure, with over 18 million subscribers and 85% of the country's population receiving coverage. Mobile services started with Ehsan Bayat of Afghan Wireless in 2002, and there are now several operators in the country. Dengue fever is endemic in Afghanistan, and communicable diseases in general account for more than half of deaths among Afghans. The Pakistani researchers plan to continue refining their tools, and to verify their epidemic predictions against Google's Dengue Trends. However, Google's dengue application doesn't have a significant amount of data at present, so the researchers are planning on integrating further data from social media and newspaper reports. It will be interesting to see if their success continues.